Italian police have released CCTV captured minutes before a commuter train derailed, killing three people. 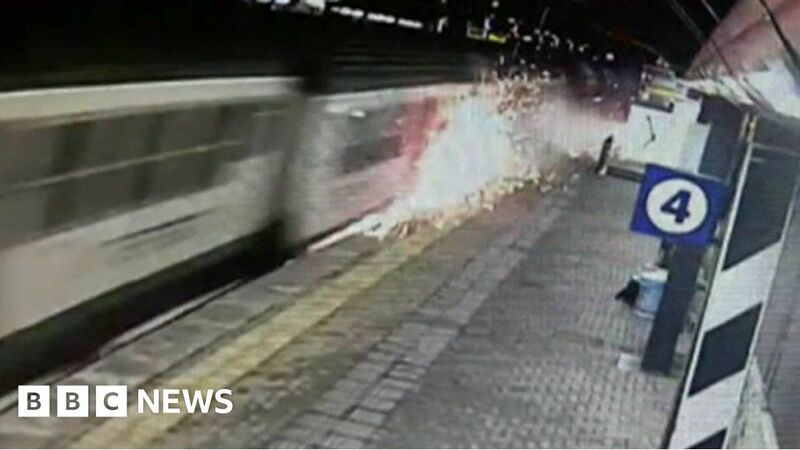 One of the carriages appears to be off-centre before it hits a platform at Pioltello-Limito station, creating sparks. Thirteen people were seriously injured when the train, carrying 250 people, came off the tracks on a busy commuter route near Milan in northern Italy on Thursday. A spokesperson for Trenord, the train’s operators, said the train had been travelling at a normal speed as it approached the station.